SABI helps create a more informed and empowered citizenry that can hold effective and ongoing dialogue with better engaged and more accountable state service providers. Gathering and generating evidence of citizens’ experiences of accessing and using state services in the health, education, social protection, water and energy sectors. Strengthening the delivery of the Local Government Act through supporting community accountability networks and citizen feedback platforms, and establishing new ones where needed. These platforms provide space for communities, service providers and local officials to identify concerns based on evidence gathered and work together to tackle key issues. Working with media to inform citizens about their rights and entitlement to services. Promoting the participation and leadership of women, youth, people with disabilities and other marginalised groups in decision making. Supporting the strengthening of national, district and local governance structures for effective state–citizen engagement. Strengthening the capacity of citizens in target communities to effectively engage their service providers and decision makers for improved services. Sharing stories about positive citizen–state engagement, helping to shift citizenry attitudes on engaging with the state. Sharing lessons with state actors and other accountability programmes on what does and does not work well in strengthening citizen–state relationships to improve service delivery. SABI communicates and extends the lessons and knowledge generated by the programme to service providers and other development partners. Our knowledge management and communications strategy focuses largely on the gathering and sharing of lessons and best practice, of what works and what does not, and why, when it comes to improving voice and accountability for improved service delivery in Sierra Leone. Explore our resources, reports and how to guides.  In consultation with DFID, SABI has delayed the opening of grants until May 2018 at the earliest. This is to enable the programme to be fully established and to have a good sense of the citizens’ perceptions of services before we open the grants pot. We will provide further updates relating to grants in early 2018.